MazeBot is a simple top down game in which players try to find the exit of a maze. 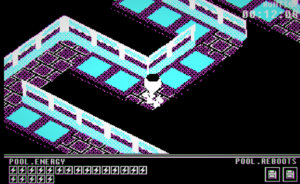 If players fail to avoid enemies that roam through the maze, they can defend themselves in quicktime events. 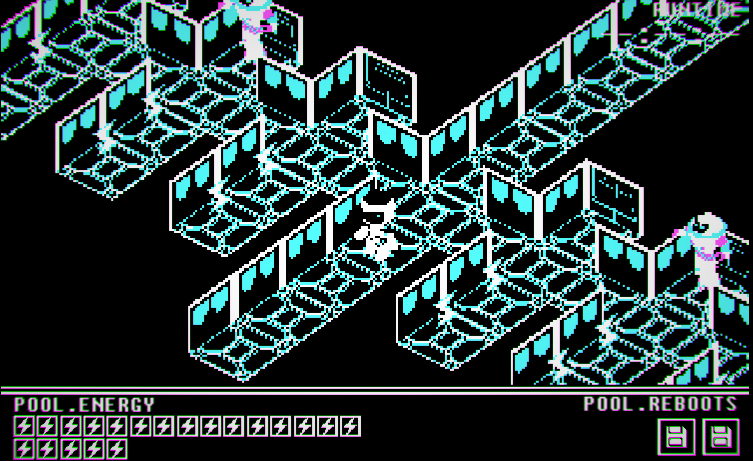 This basic gameplay is embedded in the story of the main protagonist, who wants to flee from the robot-testing facility. It was a fun project to work on as it’s sweet and short – and we focussed on making those 20minutes as interesting and fun and possible. Also this was the first time I was actually in charge of writing a games story, and integrating it with the level design. We also decided to publish the game for free on steam so that we can reach more players who will hopefully enjoy the game.